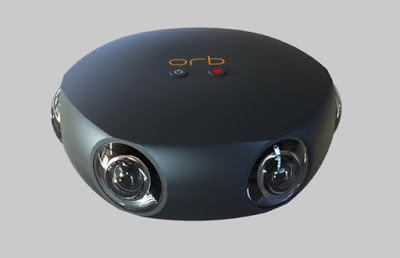 There’s an intriguing new 360 camera on the horizon called Orb VR. It’s still in prototype stage so there’s not a lot of info about it yet, except that it will be a 3D 360-degree camera with on-camera stitching in real time and live streaming capability. By comparison, the Vuze Camera, which is scheduled for release in October, is a 4k 3D 360 camera, but it requires stitching after capture, and has no live streaming capability. There’s no established ETA yet, but they are hoping to release it late 2017. A prototype might be shown at NAB 2017 (April 24-27, 2017). Here is the official Orb website where you can be on their mailing list. This will definitely be on my radar.